Every country has its favourite sport which is deeply part of the culture and people's days. They are watching it, talking about it, loving/hating it and some are trying to ignore it with more or less luck. When you travel to a country it might worth to give a visit to one of the country's popular sport event. Why can it be interesting even if you don't care about the teams and about the sport? Because you can learn a lot from that experience too. It is part of the country's culture and its people's lives. In England and in Spain obviously the love of football that runs through people's veins and that is something what probably worth a closer look. You can tell a lot about a nation from their attitude towards their popular sports and how they behave when they are experiencing upsides or downsides. Football is a sport and all sport can teach you a lot of things, mostly when you do it, but even if you are just watching one game/competition. You can learn an important thing: to beat yourself. Because you are not fighting your opponent or against the elements, you are fighting yourself, your mind and beliefs. What decides between two teams or athletes when they are playing or competing and they are on the very same level? When they have been training for their whole lives to do what they are doing and there are just tiny pros and cons between them. I believe the difference is the power of will. The winner is always who wants it more, whose belief is stronger. And this can be one of the best lesson for life as well. Beside this, I don't believe in luck, I believe that in sport what we call "luck" is just the epiphany of a burning desire. There have been many athletes and teams with the possession of something special and they have done incredible things. Of course, talent is one thing you need, but you need the strongest belief in yourself as well. And to watch these people or even just to visit the place where the magic happens/happened gives you goose bumps and it doesn't matter you like the sport or not, because you can feel the energy, the energy of the place. If you ever have the chance, do not hesitate, go and sense it yourself! This year we decided to check this thing off our bucket list and we were "lucky" enough to see Sevilla FC, FC Barcelona and Manchester United playing. Why to go to a match? Because probably Sevilla FC has the most fanatic and loudest fans in Spain and we can not argue with that. People in Andalusia say that not El Clasico is the biggest game in Spain, but the "Derbi sevillano" (Sevilla derby): Sevilla FC - Real Betis. Tickets: Pretty easy and cheap to get a ticket to a "normal" Sevilla game, so if you are in Andalusia it is highly recommended to visit a game in Ramón Sánchez Pizjuán Stadium. Barcelona's slogan is "Més que un club", what means "More than a club". Well, Camp Nou is the largest football stadium in Europe with a seating capacity of 99,354. And it is truly huge! Not much is needed to say about why you should include this to your Spanish itinerary. And if you are lucky enough you can see scoring with your own eyes probably the best football player ever which is something you can always show off. Tickets: Considering that how big this club is, it is easier to buy a ticket then you would think. Just go to the website and buy it. It is not even expensive. So don't think much about it! "The Theatre of Dreams". 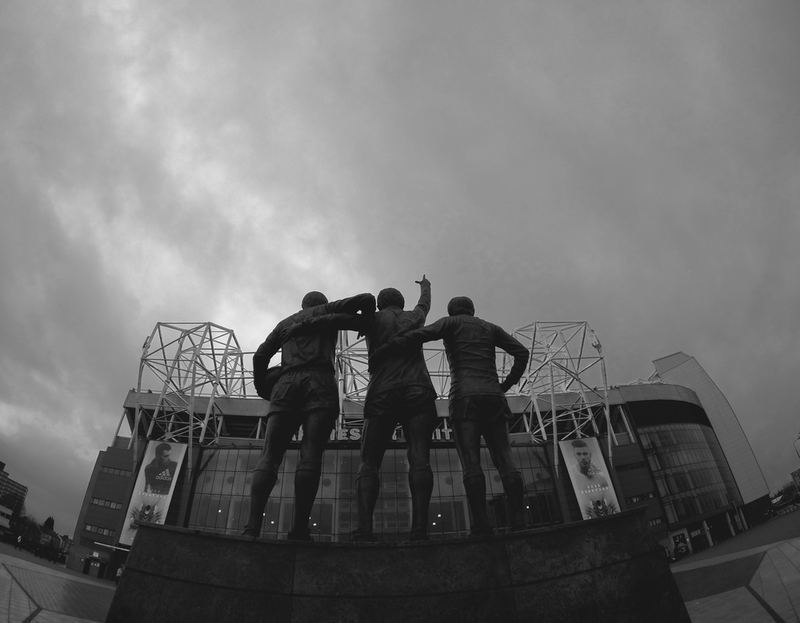 The home of Manchester United, the most successful English team. The team with so rich history that you can spend hours in its stadium's museum. Have you known for example that 1958 the team's plane crashed in Munich and 8 players died among others? They survived that tragedy too and later, with the help of Sir Alex Ferguson, they built one of the biggest brand in the world of sport. Tickets: It is a little bit tricky. For most of the matches you need to be a member of the club to buy tickets.